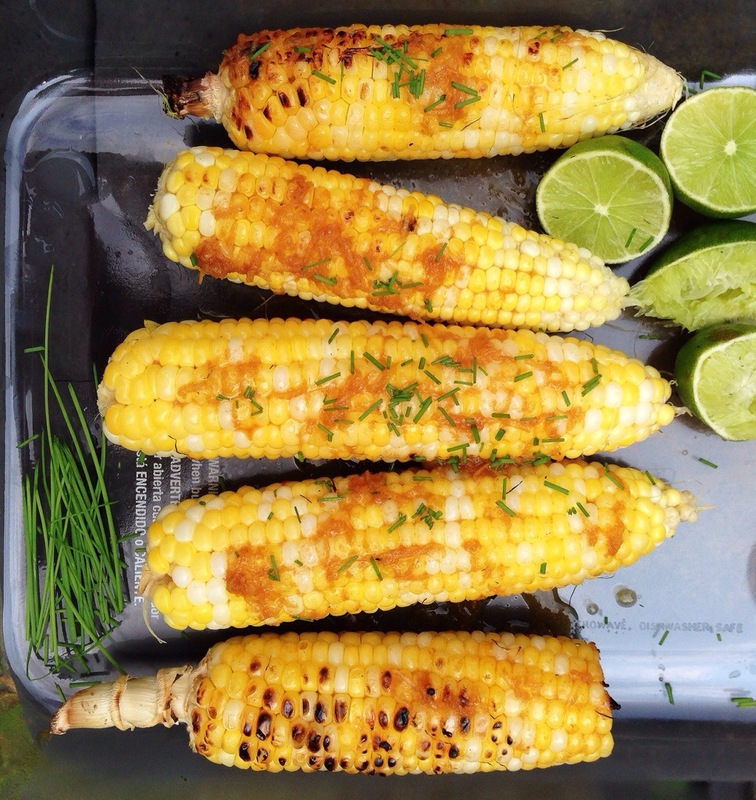 Grilling 2.0 [corn! & garlic ginger lime sauce] | Eat More Plants. I don’t grill much else besides vegetables these days…it might sound boring but it’s actually 100% amazing. Today, it’s time for the corn. I didn’t grow any corn in my garden this year. 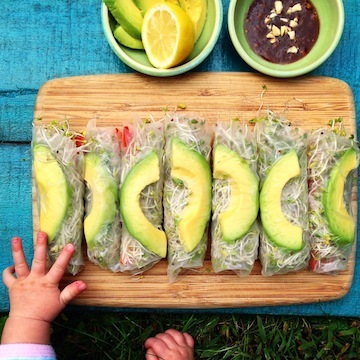 Knowing that I would have a newborn, I didn’t want to go crazy with my outdoor work. I opted for things that take care of themselves [for the most part…]: greens, summer & winter squash, peppers, berries and flowers. There are some different ways of doing this but this seems to be the easiest for me. Buy some local, fresh corn. The fresher, the better. Corn tends to get mealy after it’s been sitting around. Heat your BBQ on medium-high. 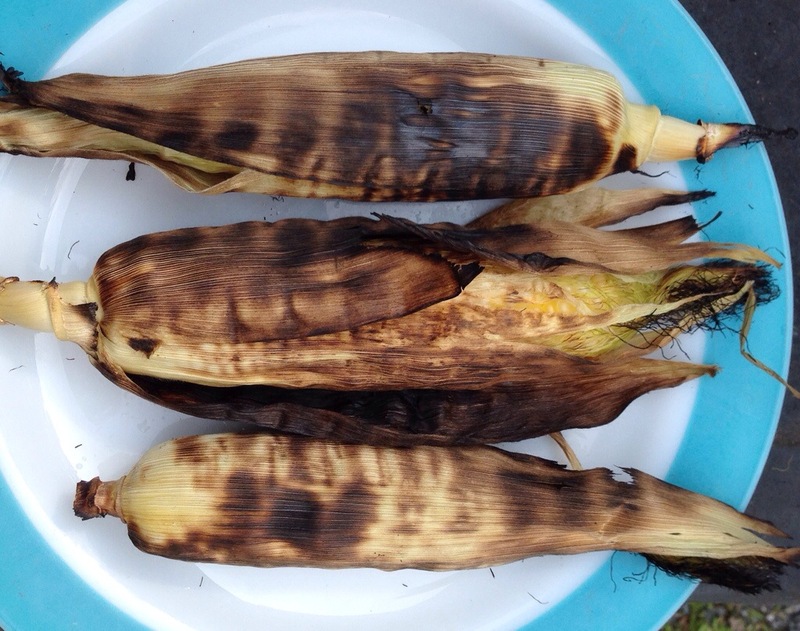 The husk should be charcoal-y black so the corn inside will steam perfectly. Let them cool before peeling the husk and silks off. I also made some ginger garlic dressing to slather on my corn…! I grated 1 large clove of fresh garlic and grated a small knob of fresh ginger into a little bowl. About 1 heaping teaspoon of each if you’re using jarred minced garlic and/or ginger. Added the juice from a lime (about 4 tablespoons), 1 tablespoon of olive oil and 1 tablespoon of soy sauce. Whisked together and drizzled over the corn after grilling. I also snipped some fresh chives before serving. *this was enough for 5-6 cobs.